Four years ago, I saw Wicked the Broadway Musical for the first time and it absolutely blew me away. I returned a couple nights ago to see it at Segerstrom Center for the Arts and the same feeling of awe and magic were cast over me. Unlike the movie, The Wizard of Oz, this musical takes us back to a time before Dorothy arrived. It is a brilliant back story that explains how Elfaba came to be the Wicked Witch of the West, starting with the conception that led to her being born green. It follows her relationship with Glinda after they meet at school. They become roommates and eventually lifelong friends. The mysteries of how there came to be a Tin Man, Scarecrow, and Cowardly Lion are revealed as well as how the flying monkeys got their wings. 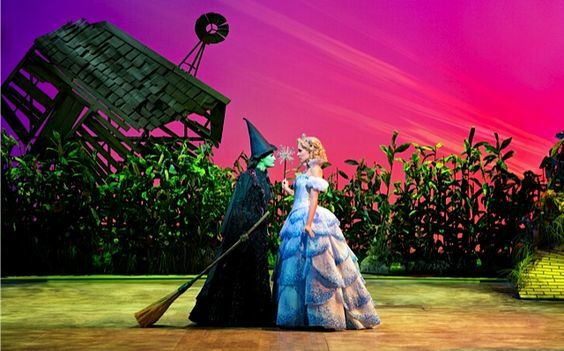 Everyone deserves the change to fly with Wicked and see firsthand how it is filled with brain, heart, and courage. The entire cast of the musical were spot on once again. Amanda Jane Cooper beautifully played the role of Glinda and was one of the highlights of the performance. Her overly dramatic movements reminded me of a Saturday Night Live character and she had me laughing with delight most of the production. The talented Emily Koch played Elfaba. She did a great job of playing off the varied emotions of Glinda and her phenomenal voice rung throughout the entire theater. She didn’t have the range of Mamie Parris who performed as Elfaba the last time I saw the production but she still made me believe in the power of being wicked. The musical numbers were my favorite part of the performance. “No One Mourns the Wicked” and “No Good Deed” will have you singing quietly in your seat, unless you’re the lady next to me. She must have seen the performance a dozen times and she must own the soundtrack because she was belting out the songs as if she was auditioning for a role. At first I was a little surprised by her uncontrolled volume but I just laughed it off and gave her props for being so confident. 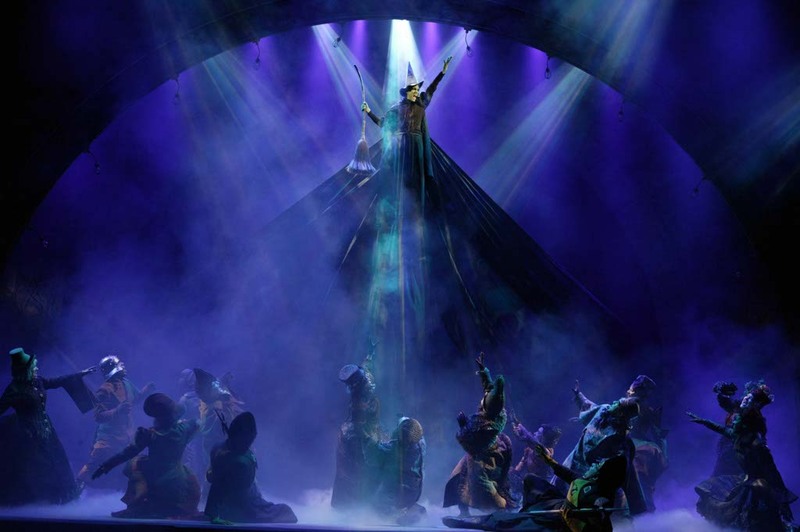 When you leave Wicked the Broadway Musical for the first time, you’re shocked by the turn of events and twisted story. After leaving the second time, I’m still amazed at the clever direction and continuously impressed by the performers. With a running time of 2 hours and 45 minutes, this production is recommended for ages 8 and up, but I have no doubt that anyone who attends will be impressed with this visual spectacle. After all, it has a brain, a heart, the courage of a lion, and the voices of angles…. or is it wicked witches? This is the only musical that I’m interested in seeing in the UK! Nice to hear a little about it.